April’s a natural boat puppy! Furiends, today we took April out for her first day sail. I’m so proud of my little sister, she was a natural! She loved it! She was fascinated by the water and the ripples that bounce off the boat. She was so well behaved and she was treated to lunch in the cockpit! Until she turns three months old she has three meals a day. 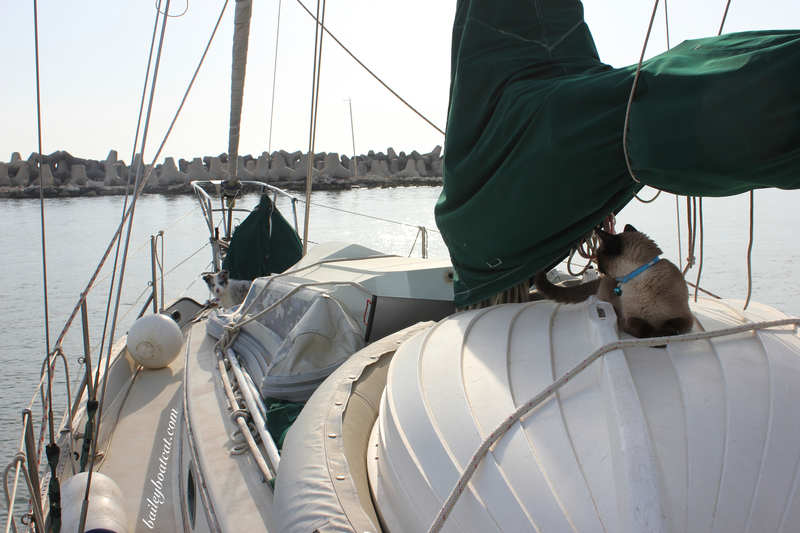 We anchored around the corner from the marina and spent a few hours enjoying the sea breeze before we made our way back to our berth. It was a very successful first sail for April Blue! Wishing you all a PAWESOME weekend! « Well that was embarrassing! You couldn’the ask for a better first sail. Have a pawsome weekend. CONGRATULATIONS! That is a wonderful first step. Well done April,I am sure you took care of her, Montyx Wishing you all great safe, sailing! April looks nice and safe for her first sail. 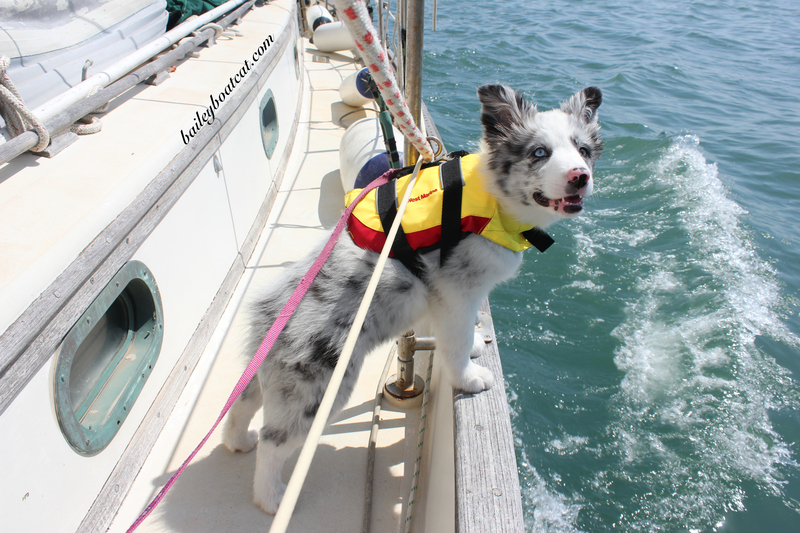 I love her colorful life vest and leash. good girl. So brave. Stellar! You know, I’d love a tiny tutorial about how to buy a dog a life vest that fits. I suspect it’s not as easy as it looks. As if you don’t have more exciting things to write about! That’s what I thought, but it still left a number of questions about fit… Thanks for discussing! Oh April looks as though she is having a wonderful time. She is a very good sailor. I think that you and she will have great adventures together! I can tell she was really enjoying it! Oh how wonderful! 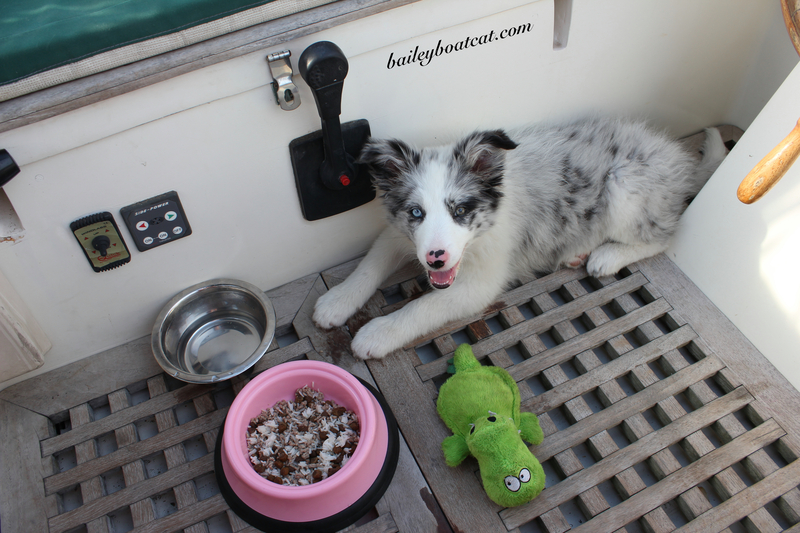 I had a feeling that all your “pre-sail-training” would help April understand what being out on the water was all about – she looks right at home! 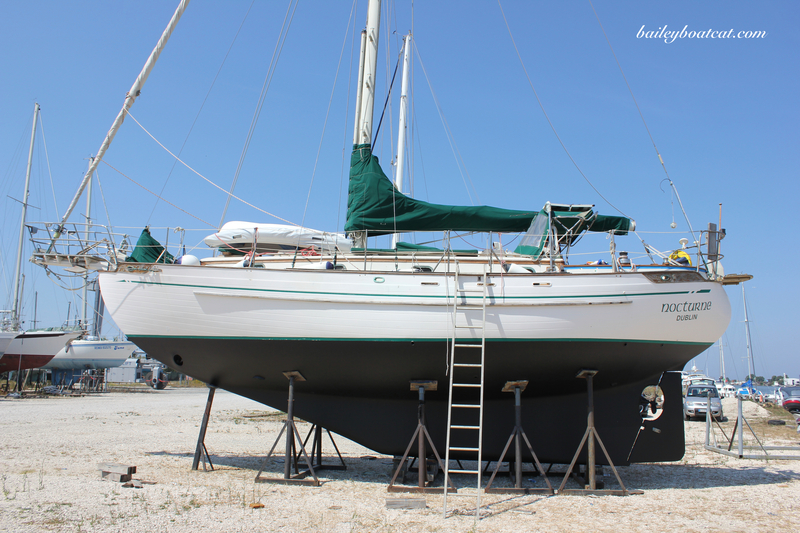 Nice to know she’s a natural sailor…..that means lots of FUN sailing ahead for all of you! Some dogs like to stick their head out the window while traveling down the road. April has the whole body version on water! Well done, Bailey!!! 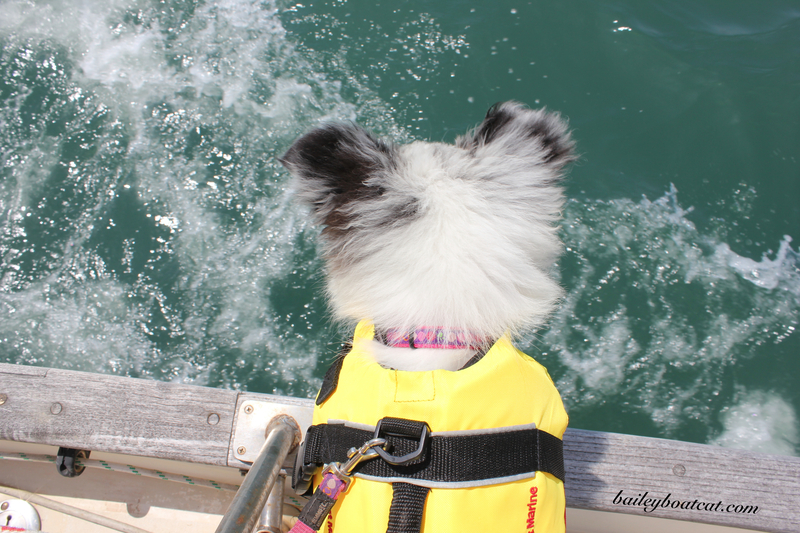 I see she’s wearing her life vest in case she falls in! Are you going to teach her to swim as well? She did look like she was enjoying it, that’s great. Good to see the life jacket & lead were securely on, too. I see you’ve taken up your post in the shade. Good job Bailey.